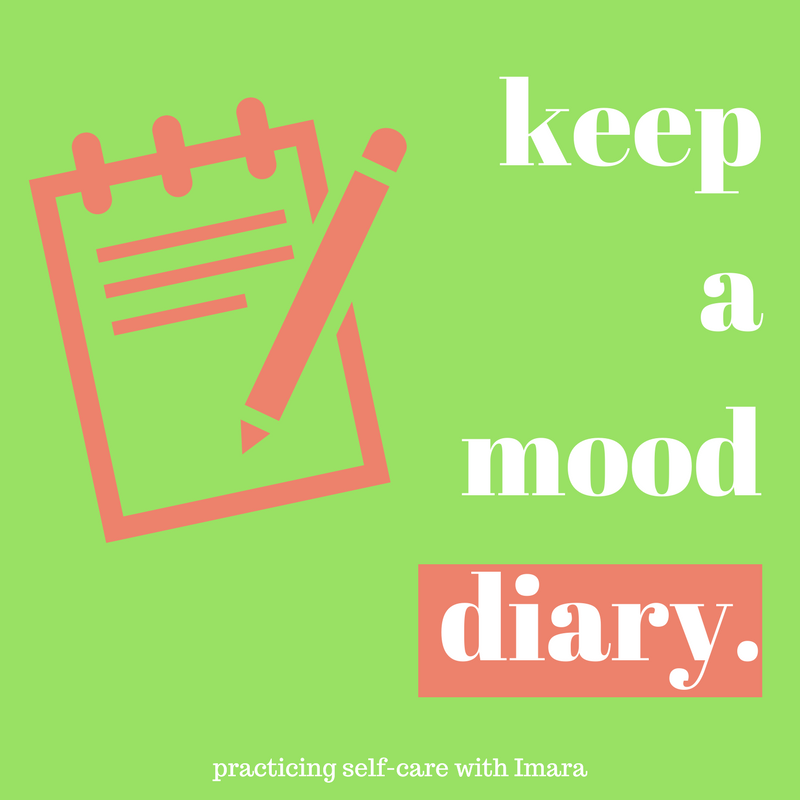 Here is a range of small, easy ideas to help practice self-care and be kind to yourself in daily life. These ideas were brought together by our team from all of our resources that we use, as well as some suggestions from young people and families that we work with. They are just suggestions and ideas, and what works for one person may not work for another, and that's ok! We hope you may find at least a couple of ideas that sound doable and interesting that you want to try, or it may help you think creatively of your own. 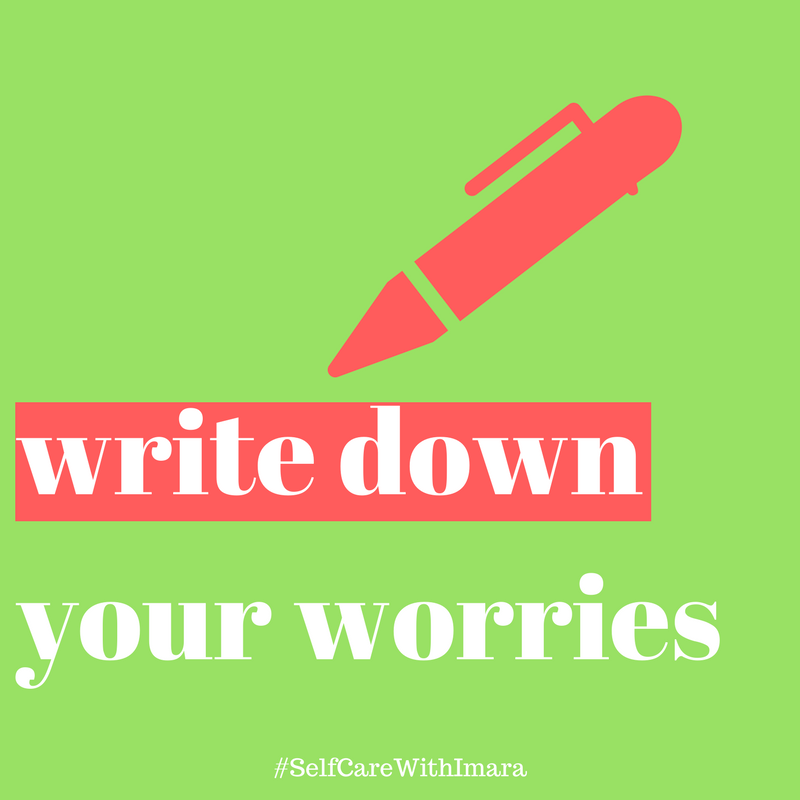 These were compiled as part of our #SelfCareWithImara month in April 2018 shared on our Facebook and Twitter. Many of us spend much of the day on our electronic devices and attached to social media. While it's not all bad, research has shown it can produce a host of negative feelings including increased stress, anxiety, distraction, low productivity, lack of fulfillment, social isolation and jealousy. If this sounds familiar, why not try to spend some time not using your phone, laptop, computer or tablet and see how you feel? There are apps available to help you out like Moment (https://inthemoment.io/) and most phones have a "Do Not Disturb" feature that silences all calls and messages except those that you set to be allowed so you don't have to worry about being unreachable in an emergency. You could organise an alternative fun activity with your family or friends or take some time for yourself to relax. An easy and simple idea, but a powerful one nonetheless. 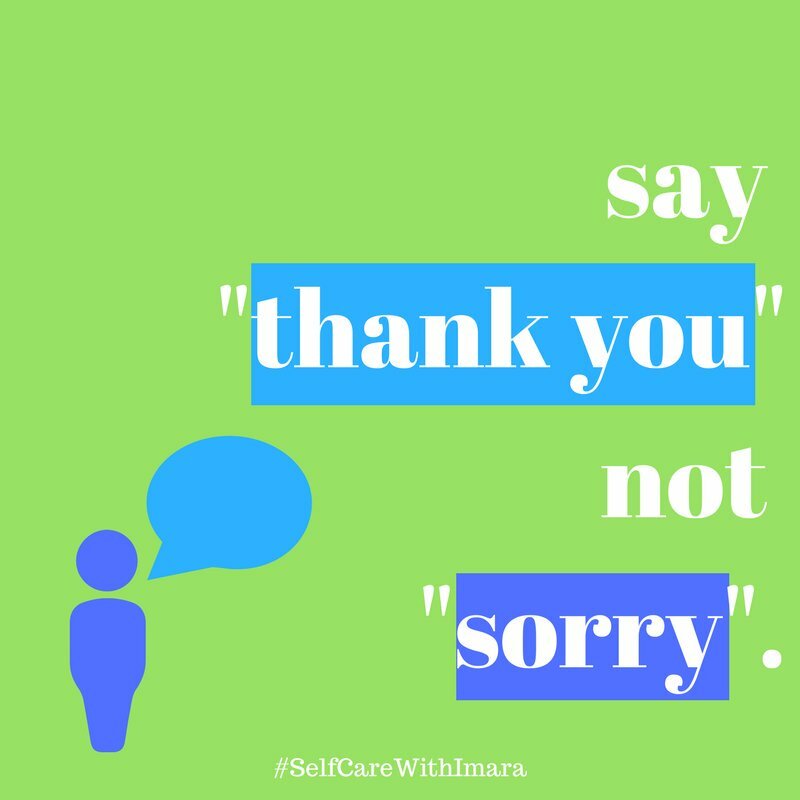 It is good to be able to say sorry when you have done wrong, but do you ever find you're saying it all the time, and for things that weren't your fault or aren't a big deal? 5 minutes late to meet someone? Needed some help? Vented about your feelings? Rather than focusing on your faults and apologising for being you, you could try focusing on appreciating the other person for their patience, understanding or just being them. 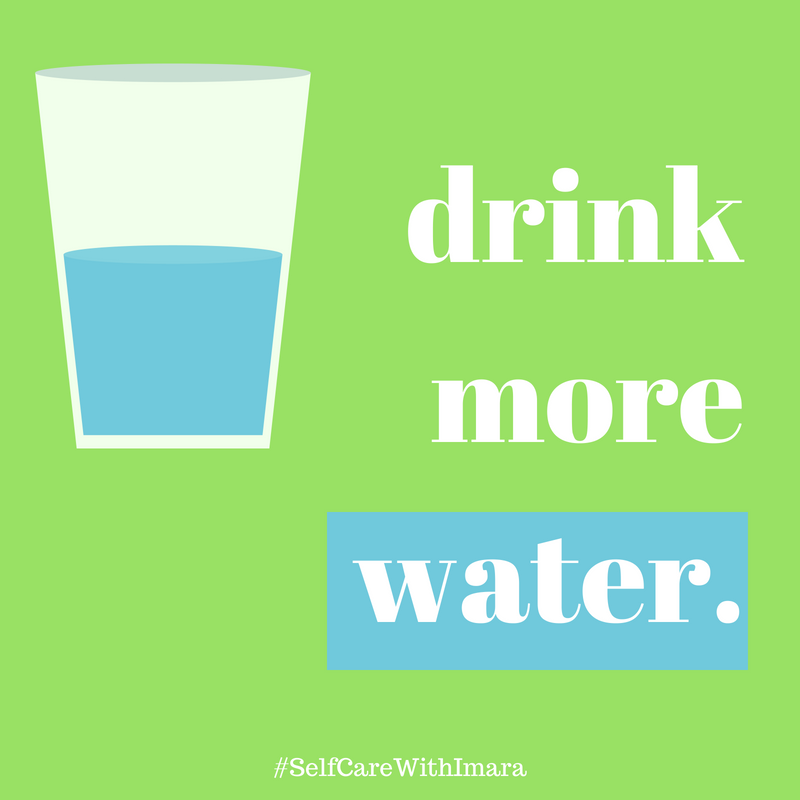 It's not news to anyone that we should probably all be drinking more water for our health, but did you know that dehydration of just 1% below your body's normal water volume may negatively impact your mood and thinking? So for the sake of our mental health and wellbeing, let's all make an effort to drink enough water today. Cheers! Think of 3 things you like about yourself or are proud of yourself for. Go on, do it right now. List them: 1, 2, 3. It doesn't matter whether they are big or small, and you don't have to share them with anyone else if you don't want to. If you're finding it tricky, you could try the affirmations from Kathryn Stockett's book The Help. Look in the mirror and tell yourself "I am kind. I am smart. I am important." Daily life and knock-backs can make it easy to forget how amazing you are, but remember today and walk with your head held high and a spring in your steps! Music can be an amazing source of happiness, strength and shared experiences, and a fantastic outlet for self-expression. Close your eyes, listen to the words, and let yourself sing or dance if you want to. 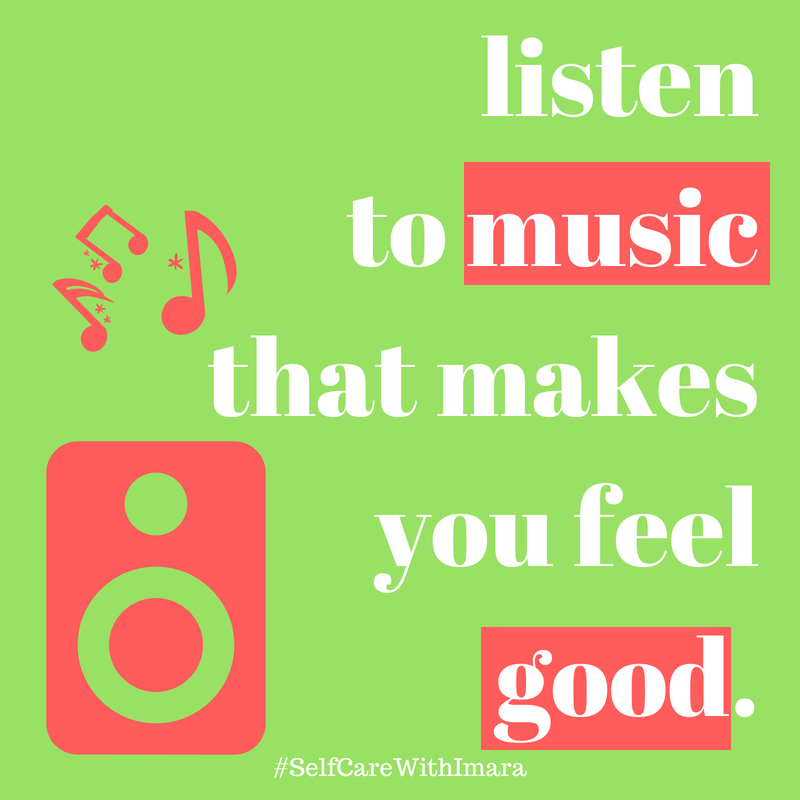 You could take some time today to put together a playlist of songs that make you happy, ready to service as a pick-me-up next time you're feeling a little down. Or you can listen to our feel-good playlist on youtube or spotify. Why not spread a bit of joy? Gifts don't have to be expensive - you could pass on a book you have enjoyed or regift something of yours that you rarely use to a better home. 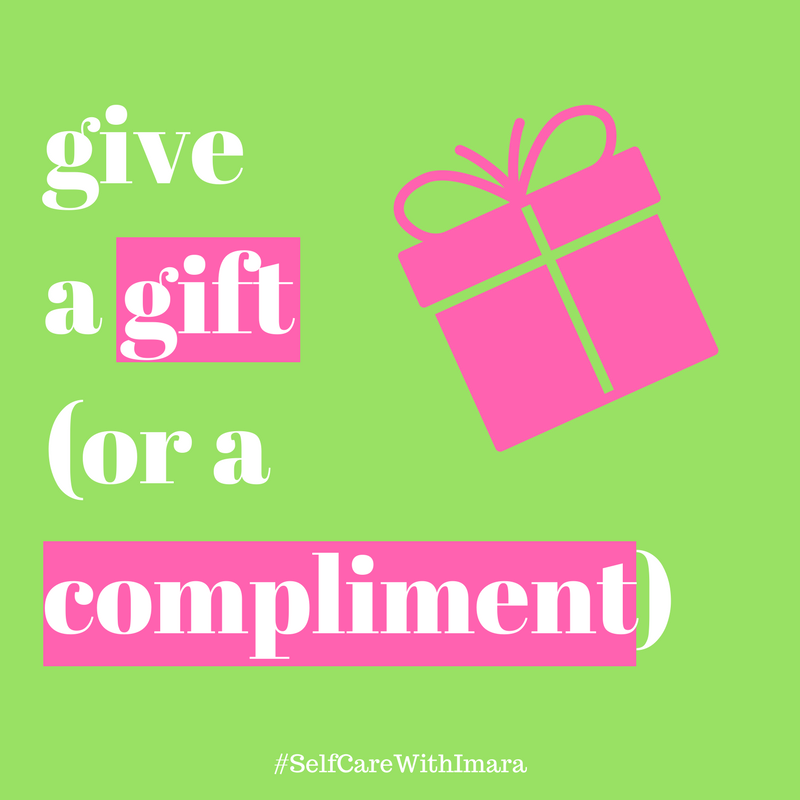 Or give the gift of a compliment instead. Why do we tend to keep it to ourselves when we think something nice about each other? You could try to make it a habit to let them know instead. When we aren't feeling our best many of us turn inwards, so you may find it useful to shift your focus onto someone else and lean into your good relationships and friendships. Plus it feels great seeing the positive impact you can have on others, lifting their mood or raising their confidence! 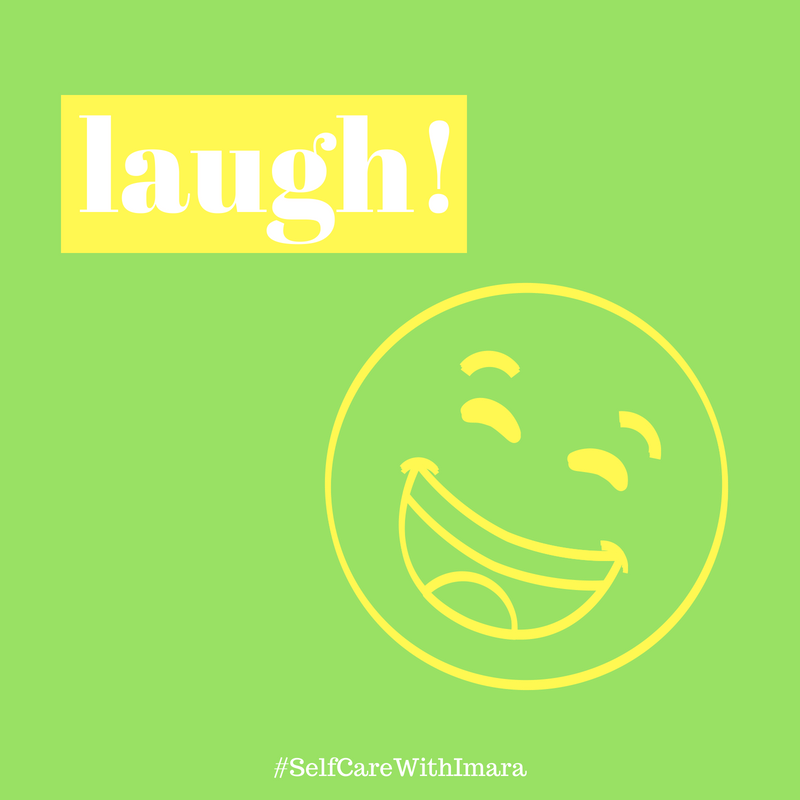 Laughing and smiling both cause your brain to release dopamine, which creates feelings of happiness as well offering a host of other emotional and health benefits. Why not take some time out today to watch something funny in the name of self-care? Watch our video of our favourite cheesy jokes over on our YouTube channel here. Comedy isn't our strong point so our jokes may have had you groaning, but there are plenty of other places you can get your giggle fix: YouTube videos, TV shows, movies, even funny GIFs! Draw, knit, paint, write a poem or song. You could even prepare a meal or model a mini sculpture out of blu-tack! Put some time aside to make something with your hands when you can and enjoy the therapeutic benefits of creativity. Even those of us who don't consider ourselves to be the slightest bit "creative" can enjoy some mindful colouring, like this Trianimals colour-by-numbers book. 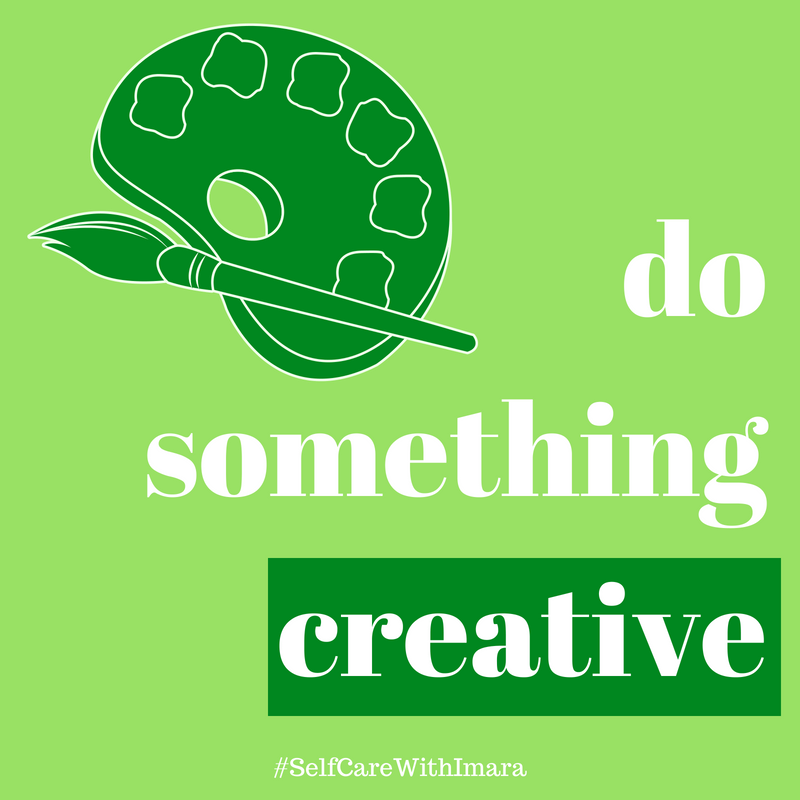 At Imara we use creative arts therapies to enable children and young people to express their thoughts and feelings in a way that comes naturally to them, allowing them to process what they have experienced in a safe space without having to find or use words for the difficult things. If you do create something and feel happy to share it, we would love to see a photo! You can tweet us here or email us here. 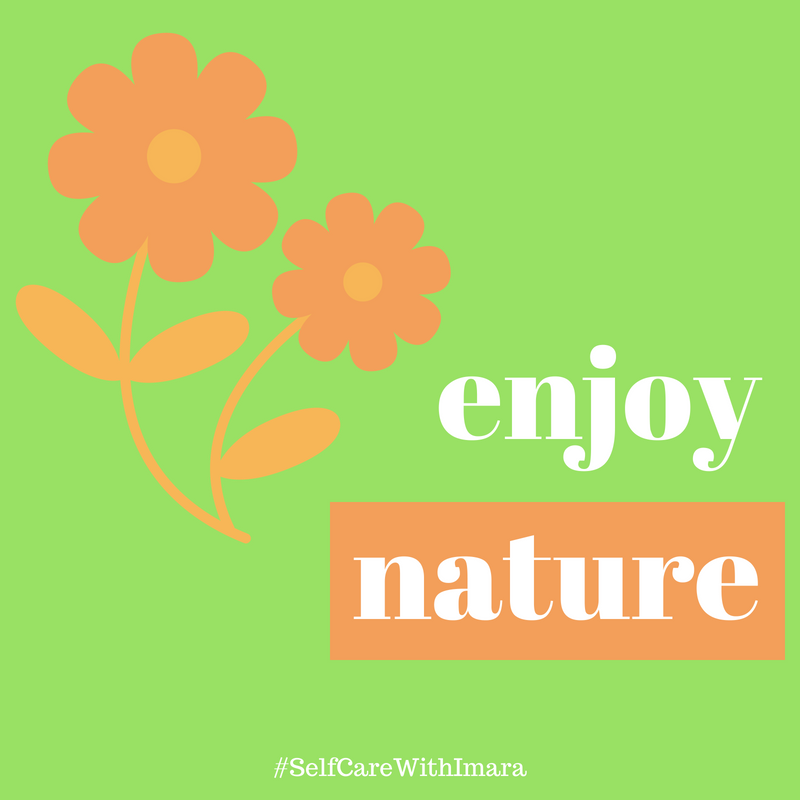 Many people find being in nature therapeutic, reporting that it makes them feel happier, less stressed and more relaxed. Taking yourself out of your usual surroundings and into a place of natural beauty can also be a great way to gather yourself and gain some perspective on things. And you don't need to go far or spend a lot to enjoy nature! In Notts you can head over to Wollaton Park, the Arboretum, University of Nottingham Lakeside, or Attenborough Nature Reserve. Maybe you would like to venture slightly further afield? If you are based in Nottingham City like us you can get to Sherwood Forest or Matlock to explore the Peak District within the hour by car or train. Our friend of IMARA Scott has led many of us in teams on fundraising hikes and outdoors challenges. Get inspired to get out in nature with some of his snaps from training walks around the Peak District and our video from the Lake District hiking challenge that our team of staff and volunteers completed in June 2018. If you would like to join us for one of these fundraising hiking challenges in the future, or bring yourself and the kids along to some easy days out on training walks, please get in touch with one of us in person or join our closed Friends of Imara facebook group. Cleaning the house or your bedroom can be a bit of a boring chore, but it can also be hugely beneficial for your mind and well-being. If you are feeling stressed or out of control, tidying your room, desk or home can help you regain a sense of calm, order and autonomy in a healthy and constructive way. Some people even swear by mindful cleaning and housework meditation! 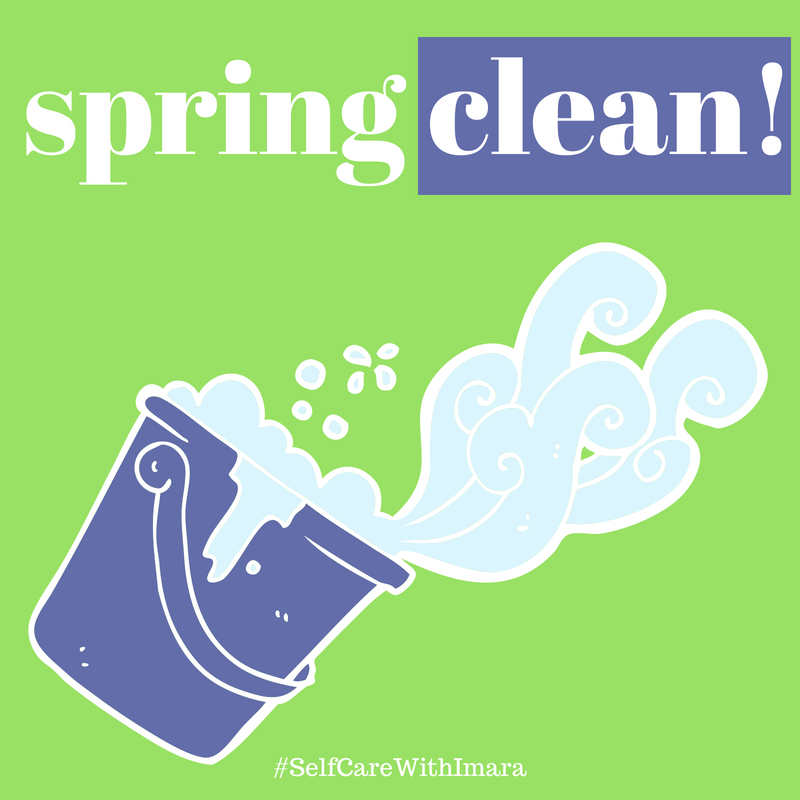 Not to mention that it is common to neglect hygiene and tidiness when your mental health isn't doing so good, so encouraging yourself to take care of your surroundings and belongings again may help re-establish taking care of yourself. Get some inspiration from our video here. Do you always have your headphones in or the radio playing on your way to school or work? 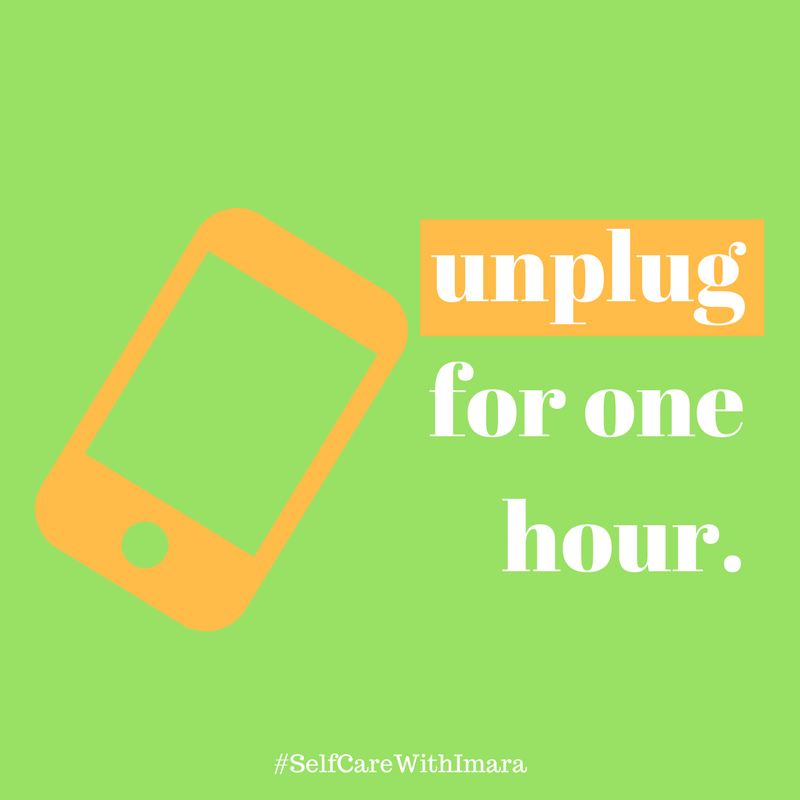 Or do you spend your whole time on the bus/tram/train scrolling through your phone, checking your emails, twitter feed or blankly staring at the screen? If so, you're definitely not alone! We challenge you to try doing your daily journey a little bit more mindfully, even if you only do it once. Put your phone back in your pocket, take your headphones out of your ears, and wait until you get to your desk to check your emails - they can wait! 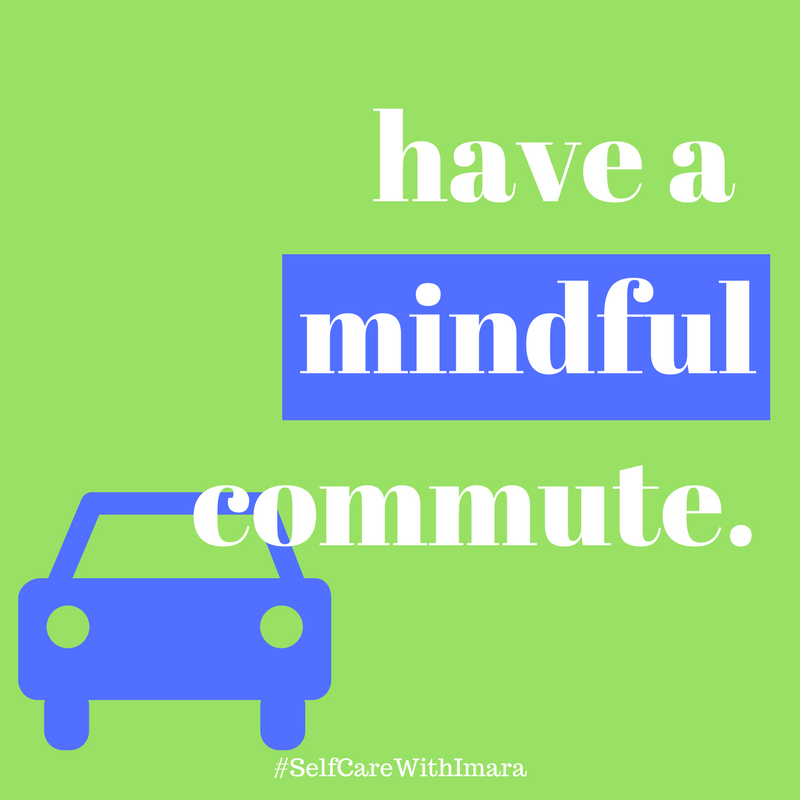 Really experience your commute - what do you see and hear? Who else goes the same way every morning? What do you think about when you let your mind wander freely? How do you feel going into today? And do you feel any differently doing the journey more mindfully? It might become your new thing! Or you might go back to your headphones tomorrow and that's ok too! 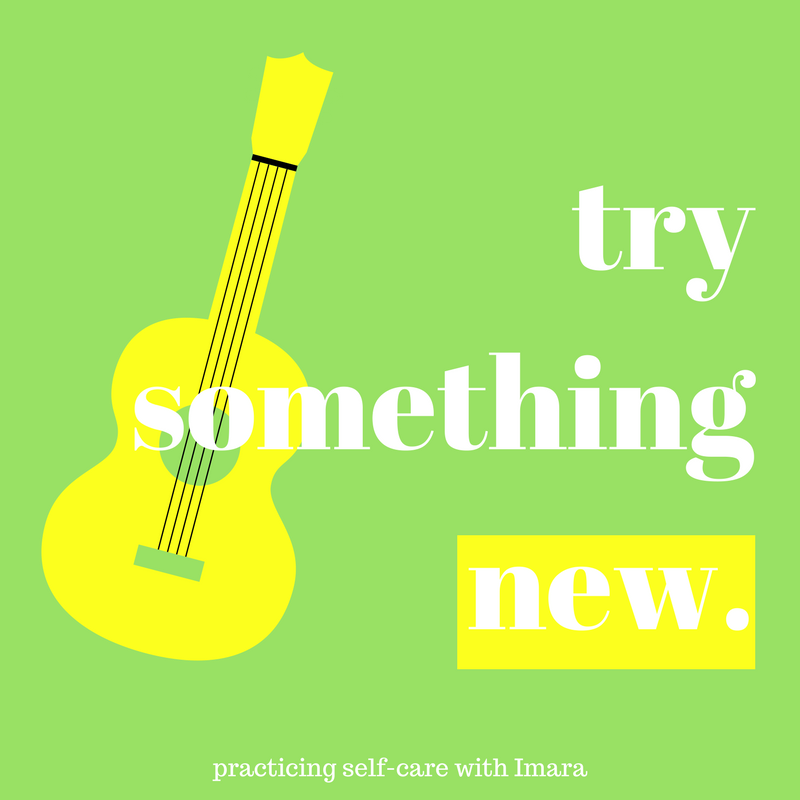 We are not nutritionists at IMARA so whatever it means to you to eat well: whether that's packing in more fruits and veggies, having something homemade rather than fast food or shop bought, or taking on that food or meal that is difficult for you. While we don't know what makes a perfect diet, we do know how important it is to take care of your body as part of taking care of your mind. 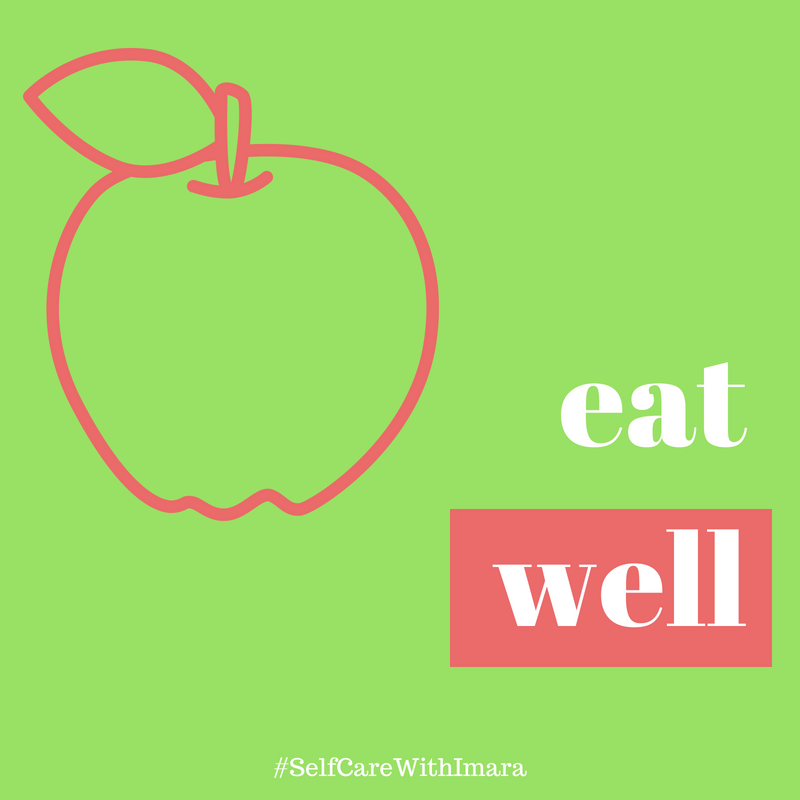 Healthy eating habits can be one of those things that break down when our mental health isn't doing too well, and how we choose to nourish ourselves can be closely tied to our feelings of self-esteem and self-worth. Get inspired by our video here. If you are a young person you may not be completely in charge of what food you eat, and that's ok! Just learning what makes up a healthy diet for when you are older is a great start, or maybe ask if you can help make dinner sometime or swap one of your salty or sugary snacks for a piece of fruit or veg instead? Do you have anything that is worrying you, making you feel stressed or are you having any pervasive negative thoughts? Get them written down onto some paper or the Notes section of your phone. Take a read through what you have written. Is there anything you can actually do about any of them? If they are chores and tasks that you need to do, you may find it easier to plan how to go about them and be productive once they are listed down and without having to worry about remembering them off the top of your head. If they are things you can't do anything about, or are negative thoughts that aren't even true, seeing them written on paper and separated from yourself may help you to recognise this and put them into perspective. They may be very real and justified worries, but if you can't act on it or do anything to improve them, then why carry that stress and weight around with you all the time? You might even find it helpful to delete the note on your phone, crumple up the paper, tear it up or burn it (safely! Visualisation can be just as powerful as the real thing!) and imagine those worries and concerns being broken down and disappearing from you forever. Play with your pets, join a friend or family member to walk their dog, or visit Stonebridge City Farm or the Kitty Café. Or check out our video of cute animals as a virtual fix right now. Animals are increasingly being used in therapeutic settings like hospitals, care homes and schools due to their ability to soothe and uplift us. 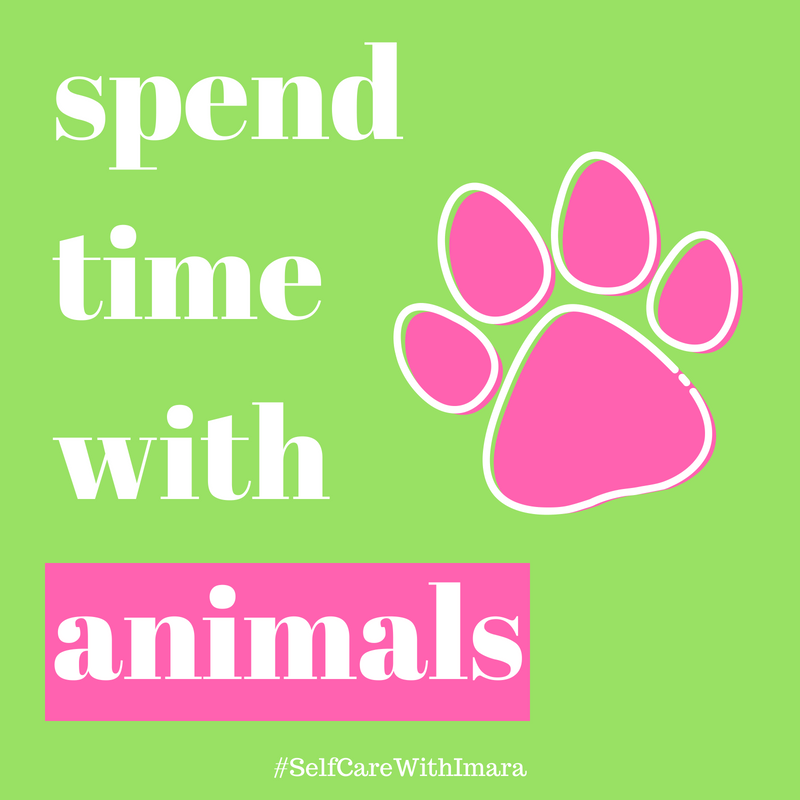 There is also a body of research showing that interacting with animals triggers our brain to release oxytocin, a really powerful hormone that makes us feel social and trusting and is involved in empathy, generosity and bonding. Advocates of Pet Therapy also report that the non-verbal and non-judgemental relationship that animals offer can benefit individuals such as young people who have experienced trauma, and can facilitate therapy by making children feel more at ease, open and safe. And who can deny how cute they are?! Whether its something big and serious or something little and everyday. It's OK to not be able to do everything on your own - everyone needs help sometimes, and it is good practice to be able to recognise this. 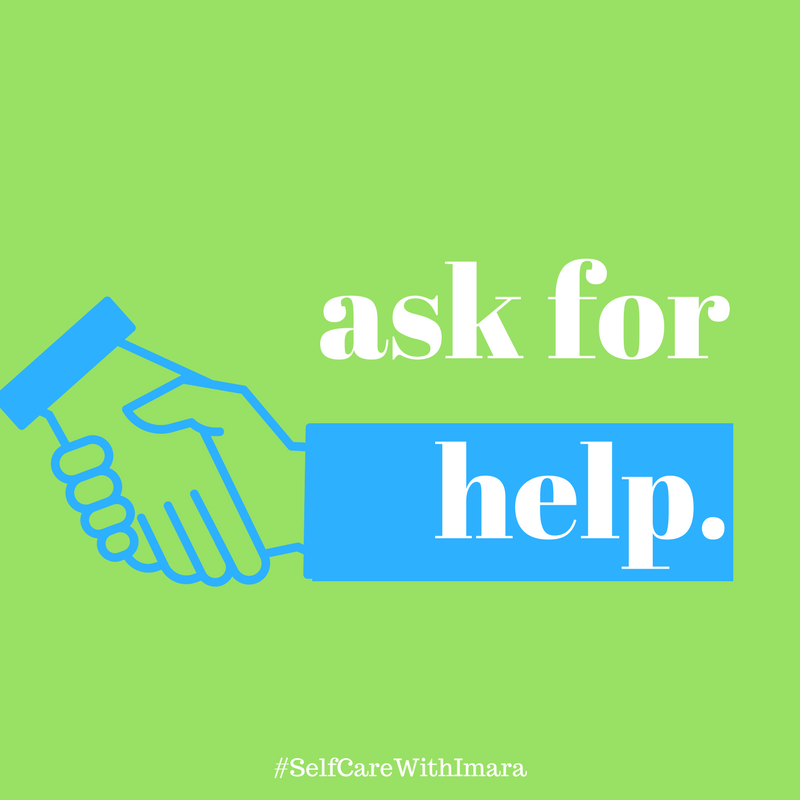 It can be really difficult asking for help, but its really important that you can do it when you need to. 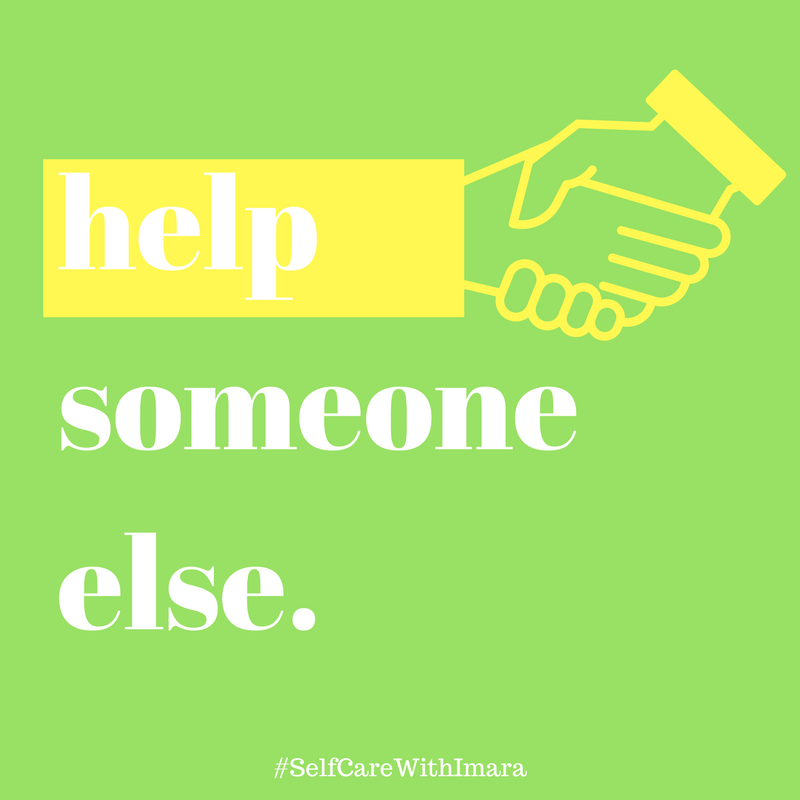 Besides, there are probably lots of people around you that would be more than willing to help you, but don't know how or when unless they are asked. From something as simple as holding the door open, giving directions or lending change for a tram ticket, to taking the time to show someone how to solve a tricky maths question in class or how to use that new IT system at work. Obviously helping others is a good thing to do, but it can also be rewarding and perspective-shifting for you too! If you'd like to do some more regular organised helping, why not look into doing some volunteering?! Research has shown that volunteering is linked with happiness, and volunteers report feeling like they have more free time! Visit your local volunteer centre, see what opportunities are on the NCVS website or check out www.do-it.org . Of course you could always volunteer with us! Join our closed Friends of Imara facebook group or sign up to receive our Supporters Newsletter to keep up to date with what we are doing and chances to get involved and help out. Sometimes you need to let out big emotions and it is important to find healthy ways to do that. 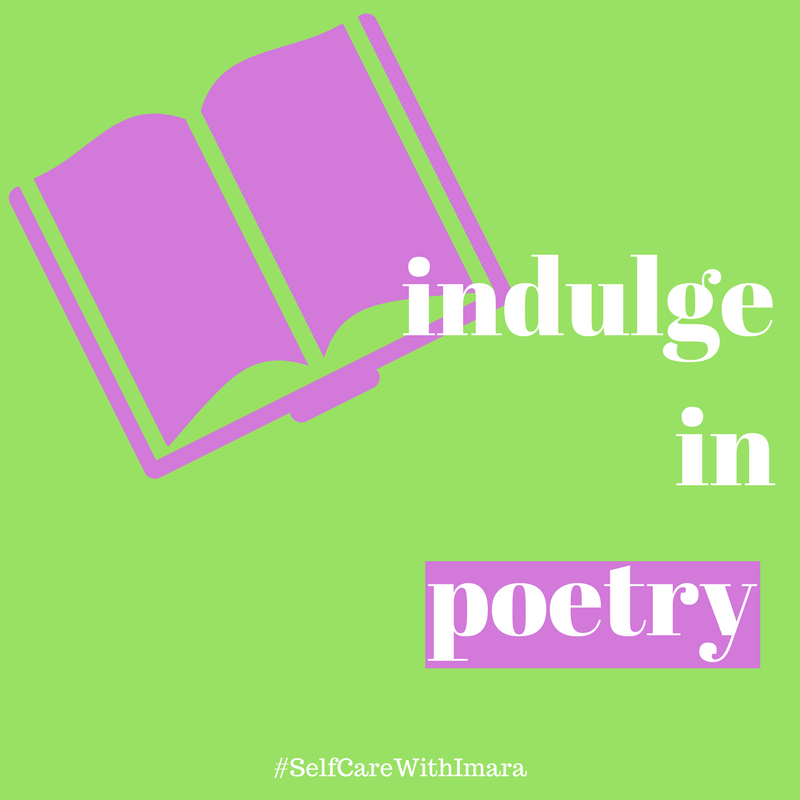 Popping bubble wrap, weeding the garden, screaming at the top of your voice, punching a punchbag or your pillow, stabbing a pencil into an empty cardboard box, putting on a sad song or film and crying it out - whatever works for you! 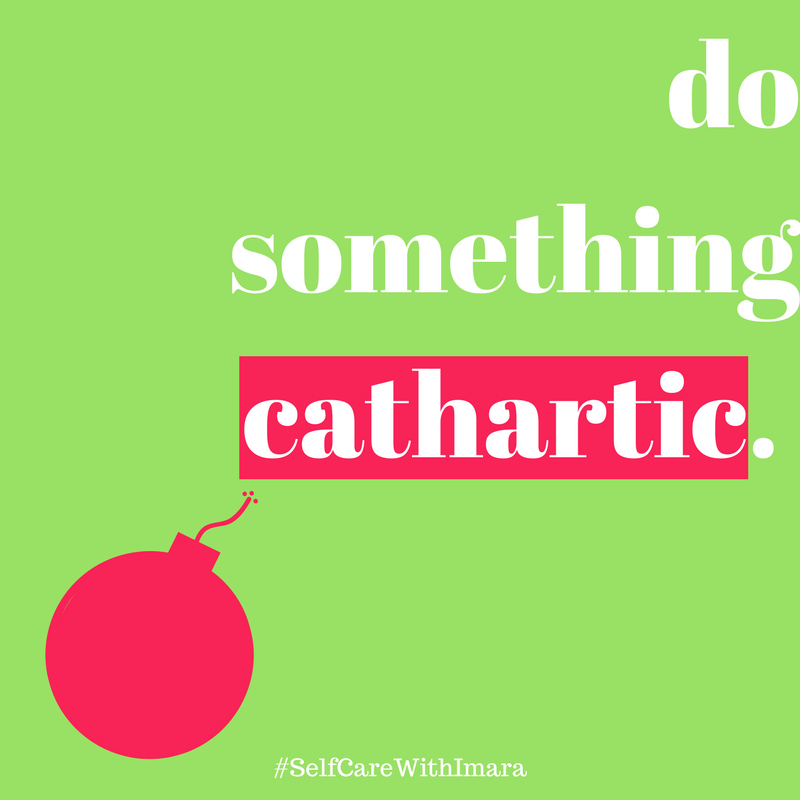 Any kind of vigorous exercise and even breaking out into deep belly laughs can all be forms of catharsis, perfect for when you are feeling yourself filling up inside with frustration, anger, sadness or stress today, why not give yourself the freedom to practice a healthy and safe form of catharsis? Or you could take some time today to help your child or younger sibling put together a toolbox for next time they need to let out their big emotions – you could start with a squeezy stress ball and some bubble wrap! 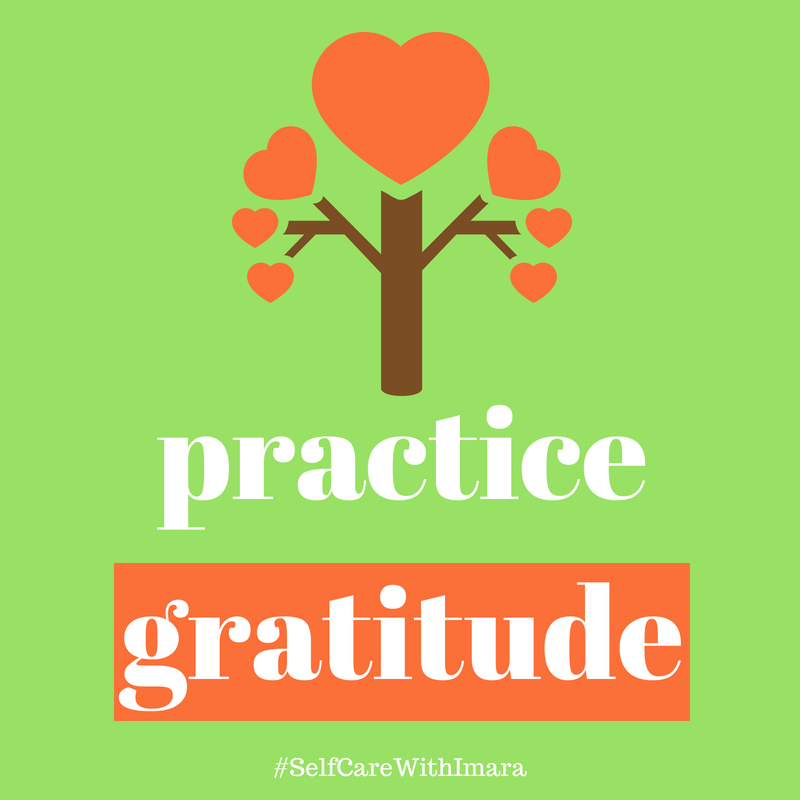 On your own or with others, why not take 5 minutes to think about things you are grateful for in your life and people that you appreciate? On our Wellness Apps Self-Help page we share a couple of mobile apps that can help you make it a habit to keep a gratitude journal, and we recommend the Yoga Planet Deck by Barefoot Books which, among lots of other useful ideas and resources, contains two cards which outline a simple appreciation and admiration game and a daily affirmation routine that is suitable and fun for kids too! 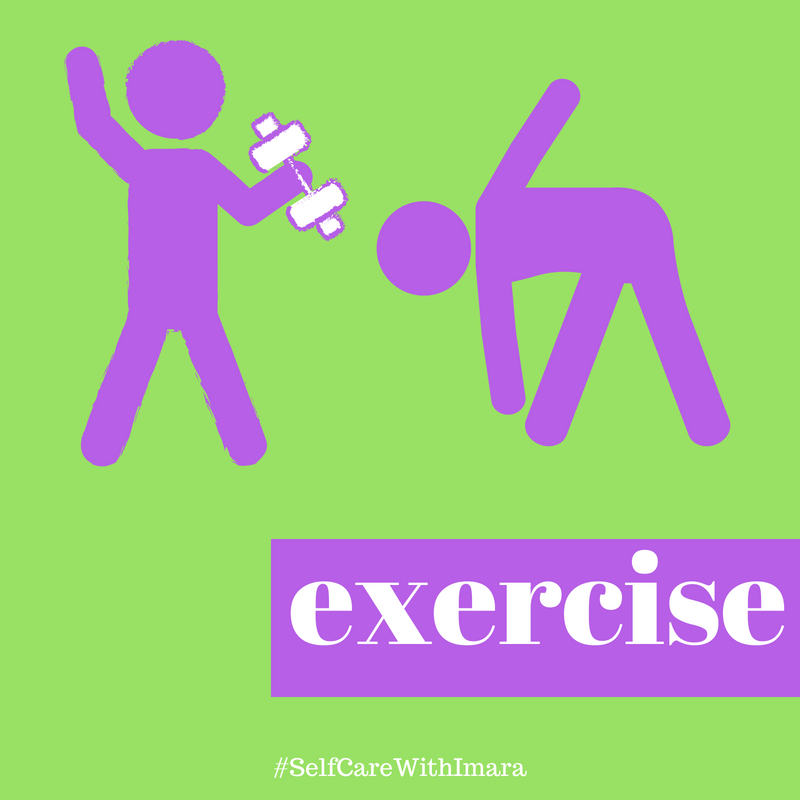 Physical activity and exercise is as great for your mental health as it is for your physical health, releasing endorphins in your brain which make you feel happy and providing an outlet for stress, frustration and anxiety. Whatever it is that you enjoy doing that gets you sitting less and moving more, do it! Watch our video for lots of ideas. If you are often stuck behind a desk, you can head over to http://onyourfeetday.com/ for lots of fun ideas of how you can easily squeeze in more physical activity while still cracking on with work. Maybe you'd like to do some rambling, walking or hiking for fitness? Join our Friends of Imara volunteers Facebook group to join our team for a weekend training walk or even the next fundraising challenge itself! It doesn't all have to be serious though - writing a funny limerick or haiku is a fun, easy way to start! or follow a tutorial video - you can find one on YouTube for just about anything you want to learn! There are lots of different free apps available to help you keep a mood diary on your phone or tablet, each with their own unique selling point: ability to set reminders to help you make it a habit (http://getstigma.com/), asking questions which you answer from a range of icons so you don't have to type a word (https://daylio.webflow.io/), helping you spot your unhealthy patterns and thinking traps (http://moodnotes.thriveport.com/) and even screening for depression and generating referral letters for you to show to your GP to help start that tricky conversation (https://www.moodpath.de/en/). 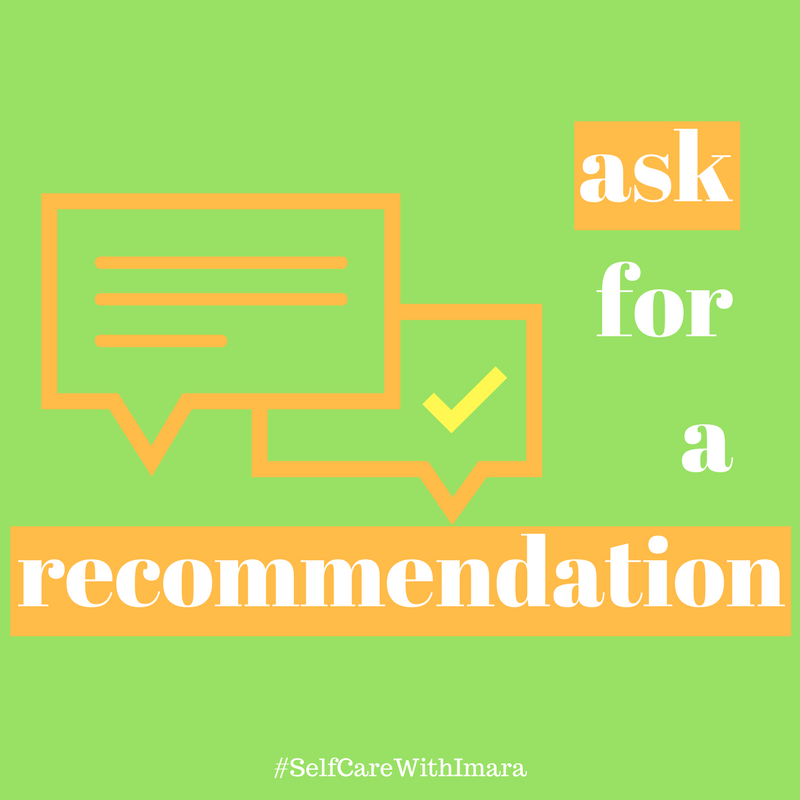 Alternatively, you can give recommendations to others. Why is it that we are all quicker to leave a bad review than a good one? Why not spread some positivity and leave a good review for something you have enjoyed recently, be it a restaurant, film, online purchase, place to go or thing to do? You could even leave a good review of a friend or colleague that you know is great at what they do on their LinkedIn page or offer to provide them a written reference for whenever they next need one! From the book’s official website. “Sitting quietly in his room in an old people's home, Allan Karlsson is waiting for a party he doesn't want to begin. His one-hundredth birthday party to be precise. The Mayor will be there. The press will be there. But, as it turns out, Allan will not . . .
Or let us know what you would recommend on Facebook or Twitter and we'll add it to the list for others to find!